Join us at Casino New Brunswick and experience one of Moncton’s top destinations for great dining and service, with two restaurants and two exciting bars to choose from! 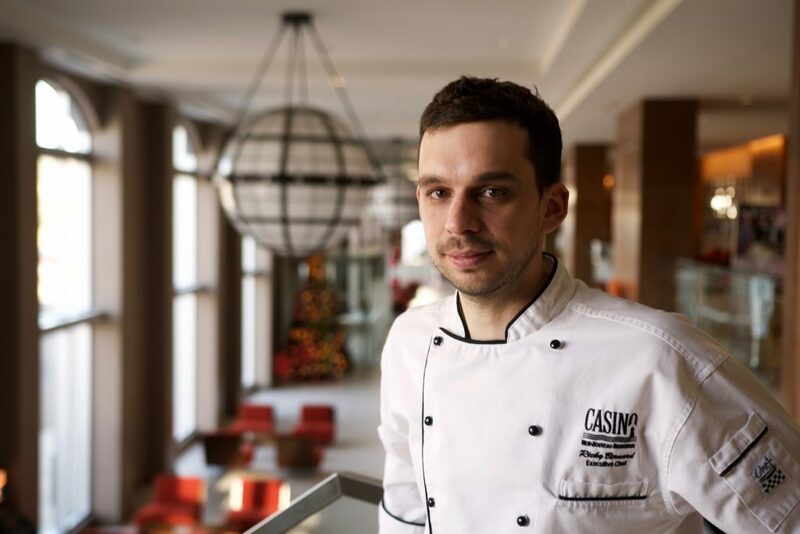 Casino New Brunswick is proud to have Executive Chef Ricky leading our Culinary team. Born and raised in a small town on Prince Edward Island, Chef Ricky developed strong roots in Farm and Sea to table, from a very early age. A father in fisheries and a mother in tourism provided the key ingredients to a recipe that became the love of food along with a level of respect and dedication transcending that, within the Industry of Culinary. Flavours, skills, and perception that were once simple and pure, developed into much larger as Chef Ricky grew within the culinary trade. Opportunities to work alongside fellow Chefs across Eastern Canada, while creating lasting relationships, fueled and nurtured the seed…the love of all things food! Remaining diligent and aware of the importance of sustainability with ingredients, building teams with the same drive and focus as him, Chef Ricky will provide our guests with top quality products and stellar skilled team members. Creating positive relationships using the Culinary Arts within the community he resides will always be the direction and path taken. We look forward to you enjoying a meal with us soon!